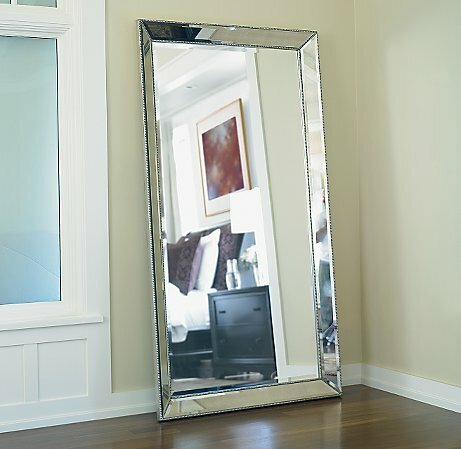 For instant pizazz I say a floor mirror is the absolute best solution. There are so many beautiful ones to chose from, particularly if you are blessed to be in North America and have access to Restoration Hardware. 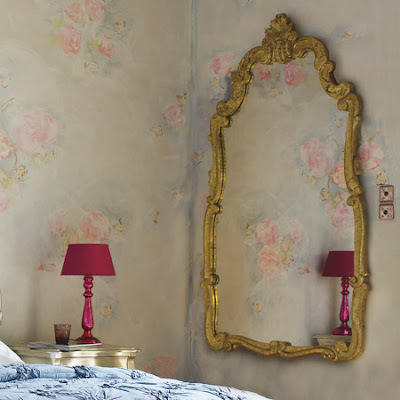 Large mirrors give the illusion of more space and light and if placed at just the right angle, can make one appear slimmer and taller to oneself, even if not to others. 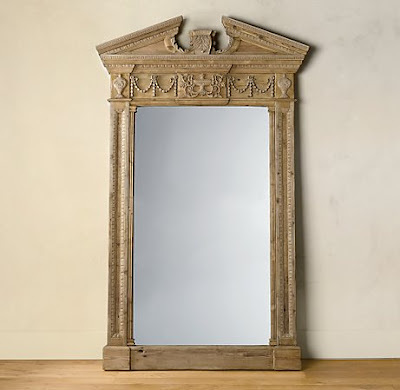 See these and more stunners in the new Restoration Hardware catalogue. They are not only gorgeous, but surprisingly great value. 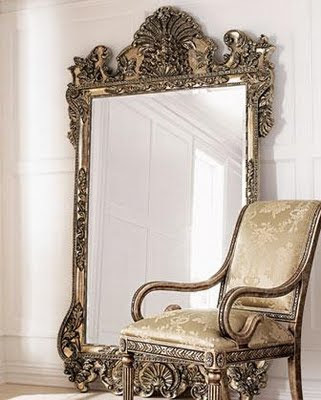 Delish super ornate floor mirror from Horchow. I think this one is my fave. So Simple. Loving the gold!! The Huntress taught me this. 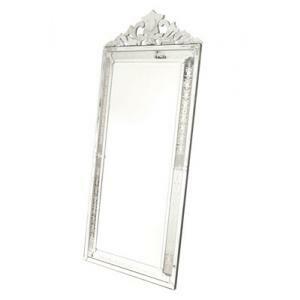 Awesome venetian style mirror from Modan Furniture. 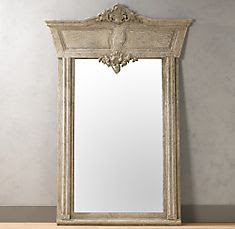 WOW - Restoration Hardware is going over the top. These are fabulous! The mirror with mirror frame has to be my favorite. Oh, I'm obsessed with mirrors. My grandmother gave me an antique floor to ceiling mirror that I'm just thrilled over! Can never have enough mirrors. Love, love, love the second one! So many gorgeous inspirational pics, Have a sweet day! there truly is nothing like a nice leaning mirror.